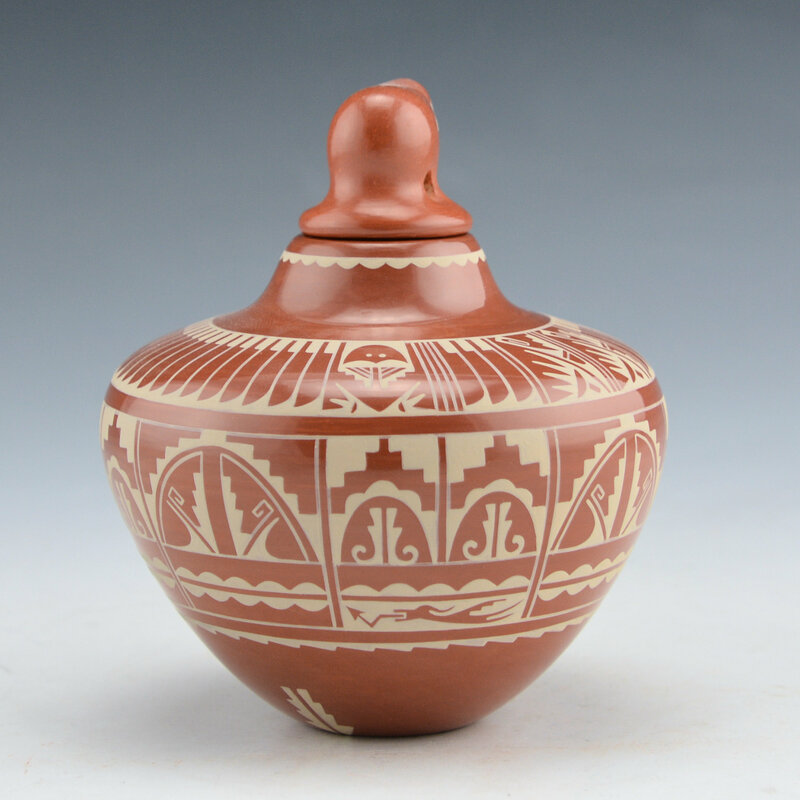 This is an intricately painted lidded jar by Dolores Curran. 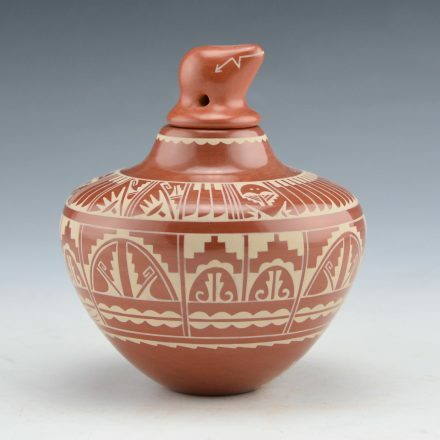 Before she began making her carved pieces, she was well known for her delicately painted buff-on-red pottery. 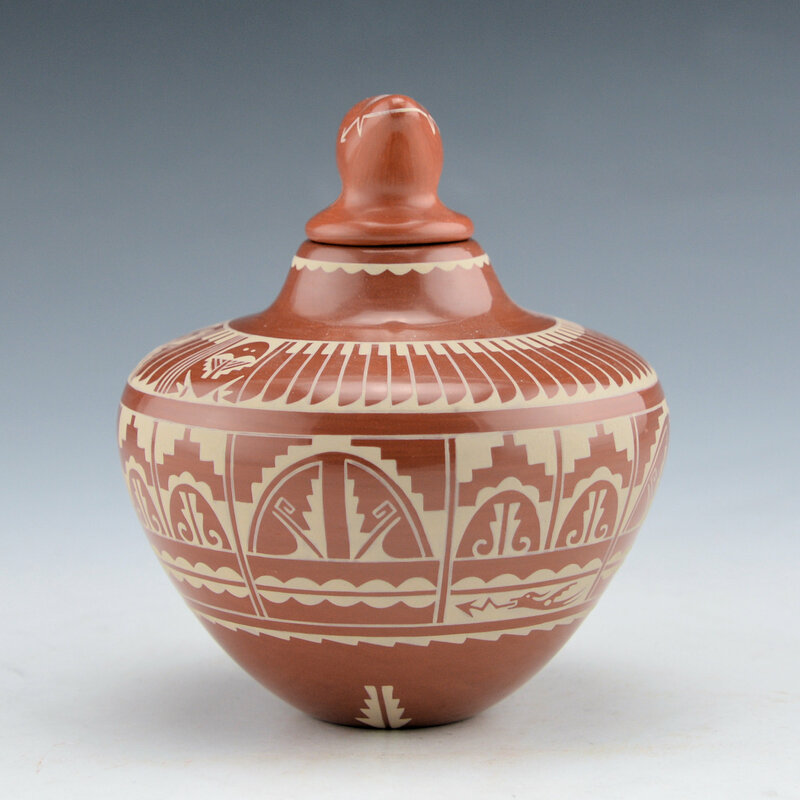 The jar is highly polished red and painted with a buff clay for the design. Amazingly, she would paint each piece up to five times to get the color of the matte painted areas deep and consistent enough! 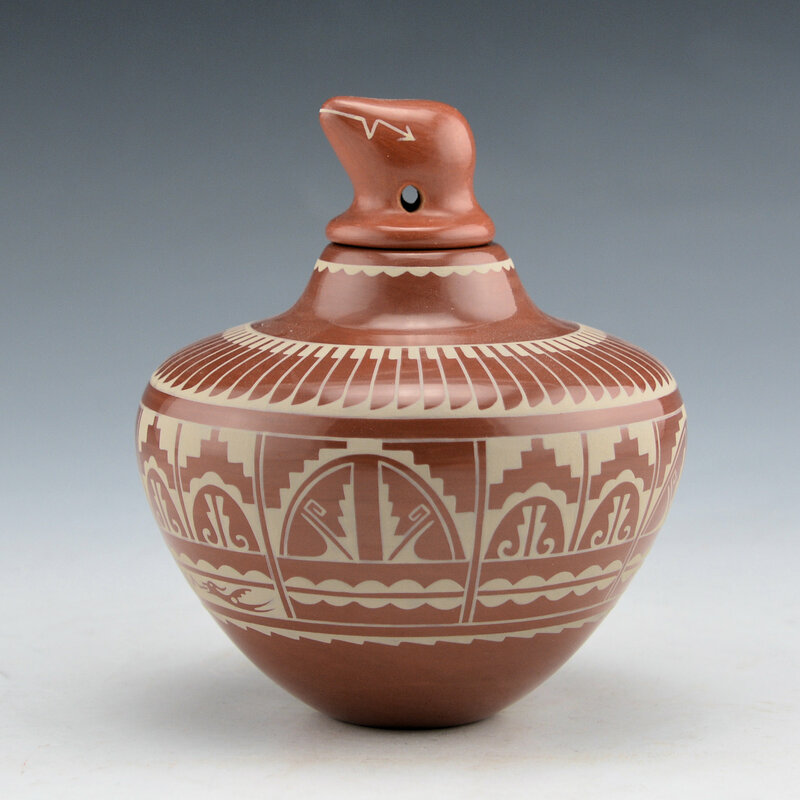 This jar has a feather pattern around the top of the shoulder. There are two smaller sections with cloud patterns. Below the shoulder, the jar is fully painted with tablita, cloud and water serpent designs. 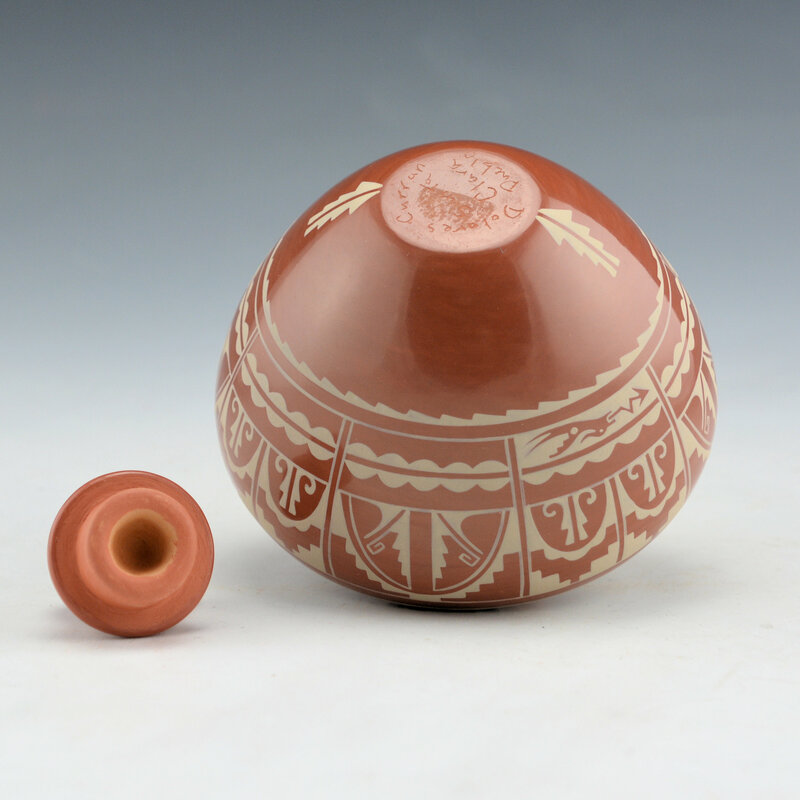 At the very base of the bowl are two prayer feathers. The lid is a bear with a painted heartline. Look at how perfect the lines are! So why doesn’t Dolores make this style anymore? She ran out of the cream-colored clay slip for the painting, and so only uses it as an accent on her new work! As well, this is a larger sized piece of her painted pottery, as she mostly made miniatures due to the time consuming nature of the painting. The jar is signed on the bottom. It is in excellent condition with no chips, cracks, restoration or repair.